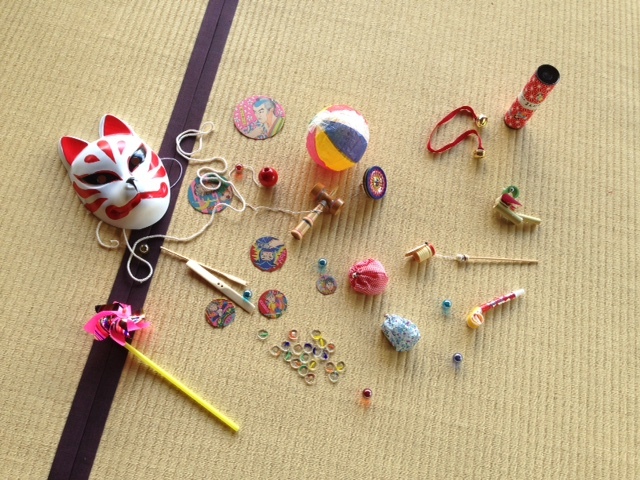 Traditional Japanese mask, marbles and other nostalgic toys. A couple from Hong Kong used our wedding photo service at the World Heritage Site, Nijo Castle in June. We met them for the first time on just a day before the photo shooting to choose the costume. Before that, we had been in touch for about 20 days since their first contact to us and discussed the plan and schedule in English. The two love each other so much. Having been married over a decade, they enjoy their everyday life together like this. We could share the happy moment with them during the photo session. 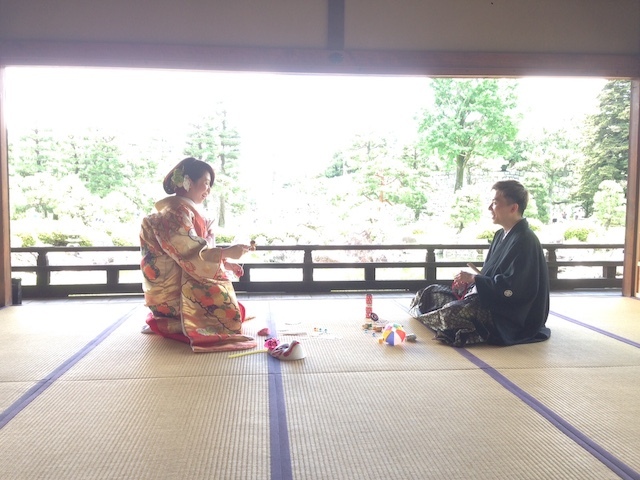 This time, we prepared Japanese traditional toys to make their wedding photos the great memory. We were happy that they enjoyed the photography. We cannot wait to see the photos!